last week, I walked into my house after a month long trip home and couldn't help but feel overwhelmed. I started to unpack, and realized how much "stuff" our little family has accumulated over the years. As I opened more closets and drawers it dawned on me that it's time get organized. I only have 2 more months to go until baby #2 arrives and I would love to have our home in mint condition before she gets here! (ok mint condition may not happen, but I could get close to it). 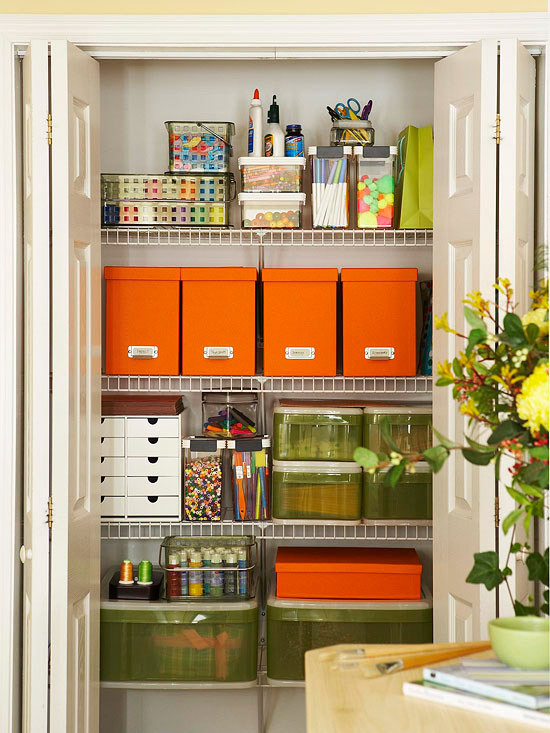 Organizing a whole house can be an overwhelming task. So, I have decided to take things 1 room at a time. I am getting rid of anything that we can do without and then organizing the things that we want to keep. Our current home doesn't have a lot of closet/storage space but I figured I can make the most of what I do have if they are organized well. I don't know about you, but de-cluttering and organizing my home makes me feel great. In fact, the other night I was talking with my husband about how "organizing my house cleanses my soul" ... I was totally joking, but then again it's totally true. So far, I have tackled 1 room and am anxious to get started on the rest! 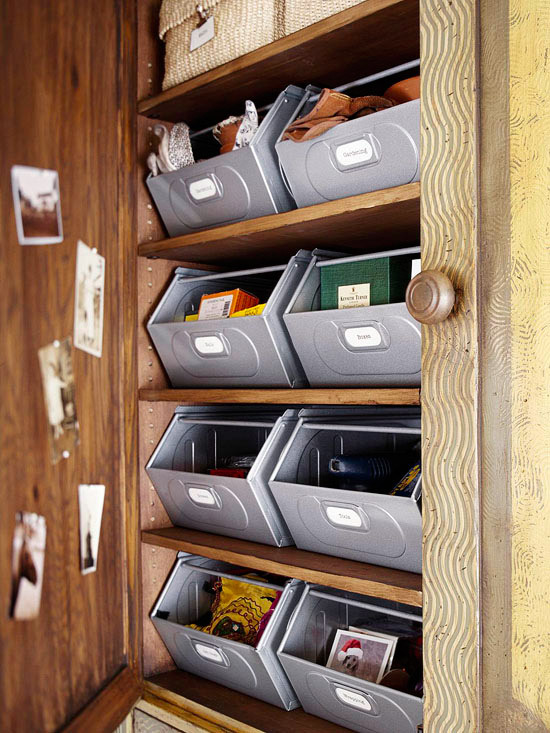 What are some ways you stay organized? and how do you decide what to get rid of? Sadly, I have organized most rooms before. But with three kids it usually has to be readdressed at least once a year. Once you do it the first time it's a lot easier the second (and 3rd and 4th) time around. Thanks for motivating me to get going! 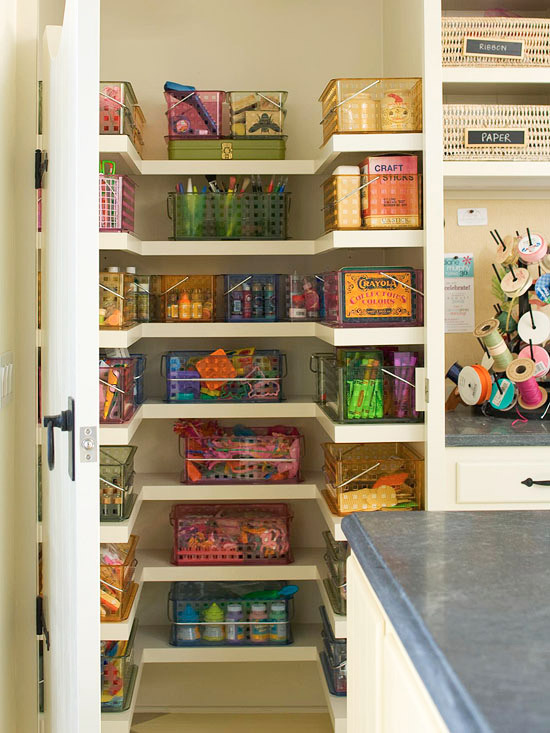 I love the organizational inspiration! I have been feeling the same way about our house. It's pretty organized on the outside, but behind the closets and cabinets it needs a little work! I've been going room by room, and if I haven't used something in a while and I'm just holding on to it because I think I'll use it some day, I'm tossing it. Throwing away stuff is so exhilarating - and I never even miss the stuff! I am currently on a spring cleaning kick too. I have a pile to be donated to charity that is the size of a comfy chair. Hoping to have it grow to the size of a couch before all is said and done. I am a bit of a shopaholic, and though it's hard to separate from my emotional attachment to these things, my life will be less cluttered without them. The hall closet full of coats is next. This is definitely on my list of goals for 2012. Isn't it amazing how quickly we accumulate 'stuff'?! 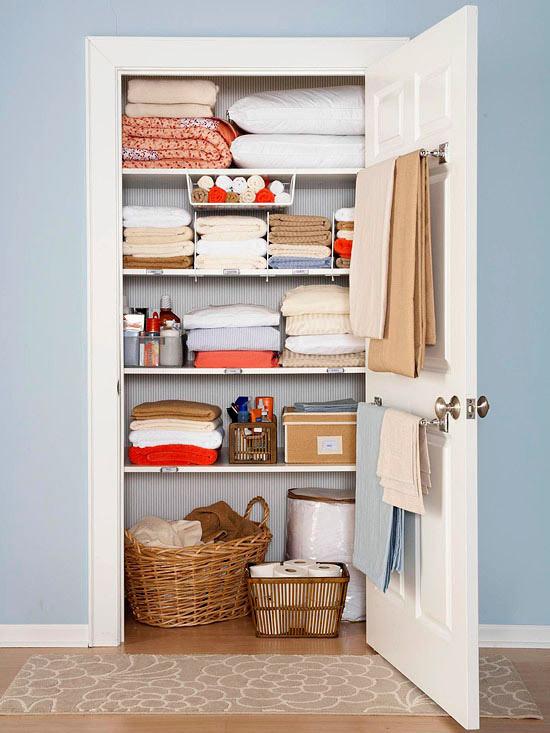 I started organizing some of our closets over the weekend, but I love your idea of going room by room. I find it so tempting to hold onto stuff that I don't need anymore, but then I realize that it's just taking up space that could be used for something I really love! Good luck! Yes! I am such an organizer. I am currently moving into a studio so being space-savvy and organized is a MUST! I am looking forward to organizing everything. Especially all my art supplies and things. :) I loved those images of the closets! Definitely inspiring. I totally agree with you about feeling great after de-cluttering and organizing my home.